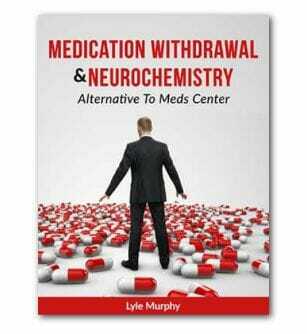 We’re aware at Alternative to Meds Center of the possible options for Seroquel alternatives that may provide another solution other than taking Seroquel for a lifetime and suffering from this medication’s side effects. When a person is encountering bothersome Seroquel, AKA Quetiapine, side effects, or when this medication is not providing adequate treatment, Seroquel alternatives help is available, including certain types of counseling or psychotherapy and natural treatments. While counseling by itself usually cannot replace the medication, it is often a vital part of an effective antipsychotic alternative treatment plan. The other alternative Seroquel options besides figuring out the cause of the original symptoms and treating your mental health naturally are treatments with other prescription medications that have side effects very similar to Seroquel side effects. This medication is an atypical or second-generation antipsychotic licensed to treat schizophrenia and bipolar disorder. Prescription drugs that are considered to be alternatives to Seroquel include atypical antipsychotics other than Seroquel, typical (first-generation) antipsychotics, and mood stabilizer drugs. Conventional medicine doctors are likely to recommend these drugs first when symptoms are not being adequately controlled by Seroquel. While this is the way conventional medicine often works, through exhausting processes of trial-and-error with different drugs, there is a better way to tackle mental health conditions, including bipolar disorder and schizophrenia. When this medication is not working, it may be time to consider natural Seroquel alternatives options. Natural therapies are always guaranteed to put you one step closer to reaching your desired state of mental health. Prescription drugs are not addressing what the underlying problems are. So while you may feel a little relief while you are on the drug, the underlying condition continues and often worsens. The most successful antipsychotic alternatives to Seroquel often include finding the underlying reasons of what the original symptoms are, whether it is a nutritional deficiency, an accumulation of environmental neurotoxins, a poor diet, an unhealthy lifestyle, or an unsupportive surrounding, and then working to change the circumstances of those underlying reasons, read more about Seroquel withdrawal. Getting to the bottom of the cause of symptoms, rather than focusing solely on fixing the symptoms with prescription drugs, can create happiness and success that is long lasting drug-free. Aside from discovering what led the individual to being medicated to begin with, healing methods of Seroquel alternatives help such as acupuncture, counseling, massage therapy, meditation, yoga, and exercise can really change the way a person feels. Altering aspects of lifestyle such as making dietary and nutritional changes, which can include eating more high protein foods and eliminating sugar and processed food from your diet, can also make a very obvious difference in the way a person feels. Moreover, several studies favor psychosocial treatments in part of an antipsychotic alternative treatment plan for schizophrenia. These therapies help individuals to deal with certain difficulties associated with schizophrenia such as communication, work, self-care, maintaining healthy relationships, and motivation.